The La Vista Municipal Pool will open on Saturday, May 25, 2019 and close on Monday, September 2, 2019 (Labor Day). Normal Pool hours are 1:00 p.m. - 9:00 p.m. daily through August 11, 2019 (hours will be limited August 12 – September 2). Due to Papillion-La Vista Schools adjusting their school schedule, the La Vista Pool will be closed on May 28 & 29. 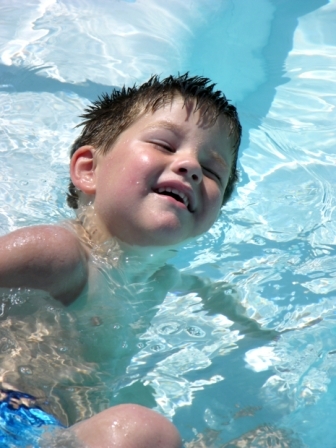 From July 9 - August 1 the pool will be closed on Tuesday & Thursday evenings from 5:45-7 p.m. for swim lessons. Friday 5:00 p.m. - 8:00 p.m.
Saturday-Sunday 1:00 p.m. - 8:00 p.m.
Labor Day (Last Day) 1:00 p.m. - 8:00 p.m. Season passes for residents and non-residents as well as resident tags must be purchased at the La Vista Community Center, 8116 Park View Blvd. Sales will begin on May 3 for residents and non-residents on May 10. We only accept cash at the pool. No cards or checks.